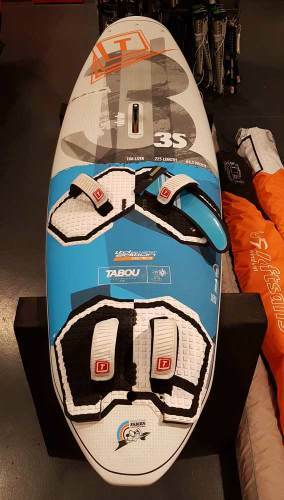 The tabou bullit 2018 is online available and also at the Telstar surf shop . Order this tabou bullit 2018 simply by adding it to your cart. Check out our other Tabou products online. 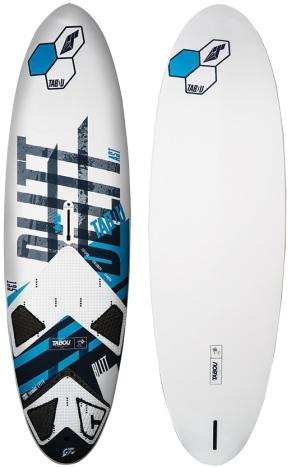 TA Sustainable, fun freeride board at an affordable price, suitable for the freerider with a limited budget, or for example families who want to sail the board together. 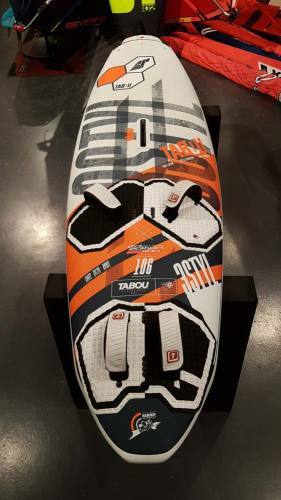 The Tabou Bullit is a user-friendly, durable, accessible board and is the perfect windsurfboard for new windsurfers. The board can also be seen as a family surfboard where the children can learn how to windsurf and mum and dad can also relax. A characteristic feature is the smooth speed! The volume distribution at the Tabou Bullit ensures optimized stability and simple balance. Although it costs less, the Bullit AST construction allows the board to withstand the small collisions against the rocks.